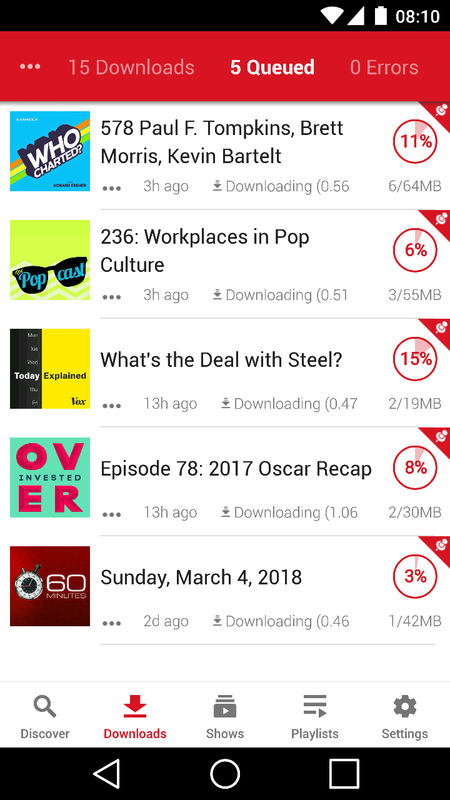 One of the coolest things about podcasts is you can download them. With power downloading, you unlock an array of settings to give you fine-grained control over how that happens. Got a stack of shows to download and need to do it quickly? 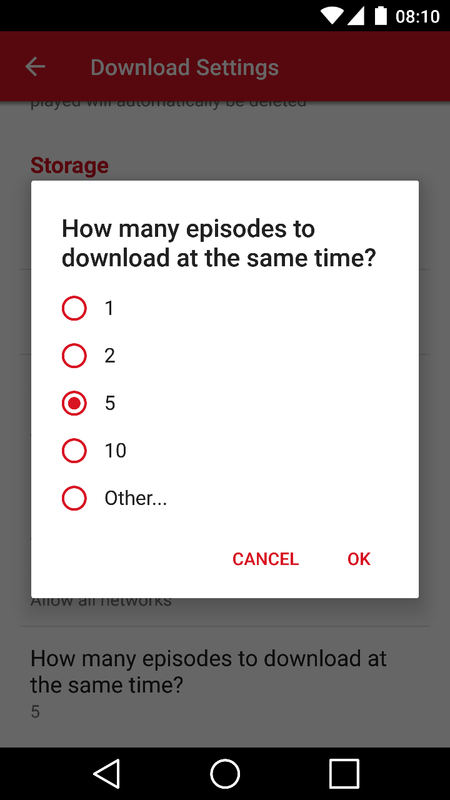 Turn on parallel downloads and watch them download simultaneously. Want to get an update just before you leave home each day? Or as soon as your favorite show arrives every 8 in the evening? Set up a daily schedule with exact sync times. This lets you get the freshest possible content right when you need it, without the battery and bandwidth drain involved in frequent updates. 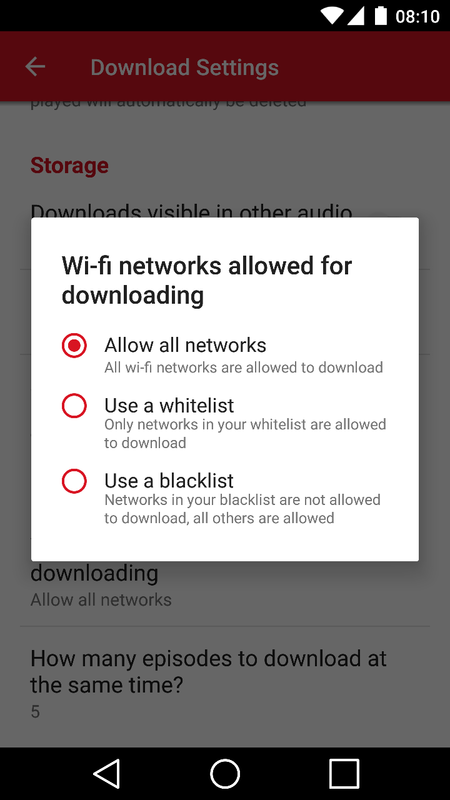 Power downloading also allows you to create a wi-fi whitelist or blacklist. You could blacklist your company network if they get mad at you downloading podcasts all day! Or if your employer's more the generous type, whitelist it as the only place to get your downloads in. 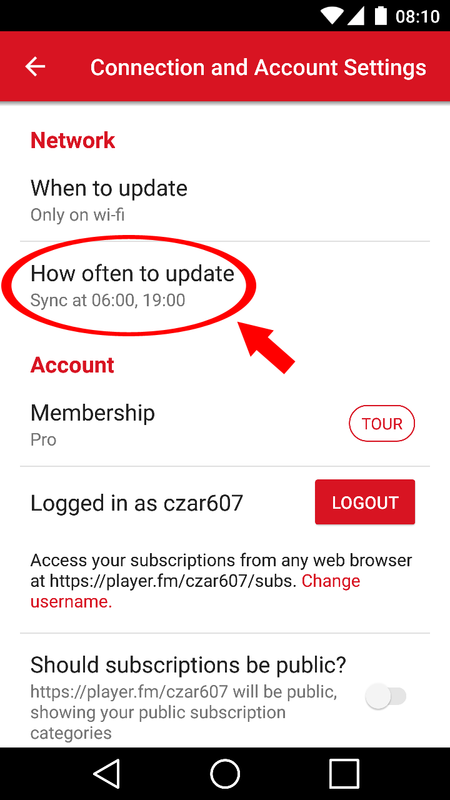 This feature is also useful for anyone with public wi-fi accounts. 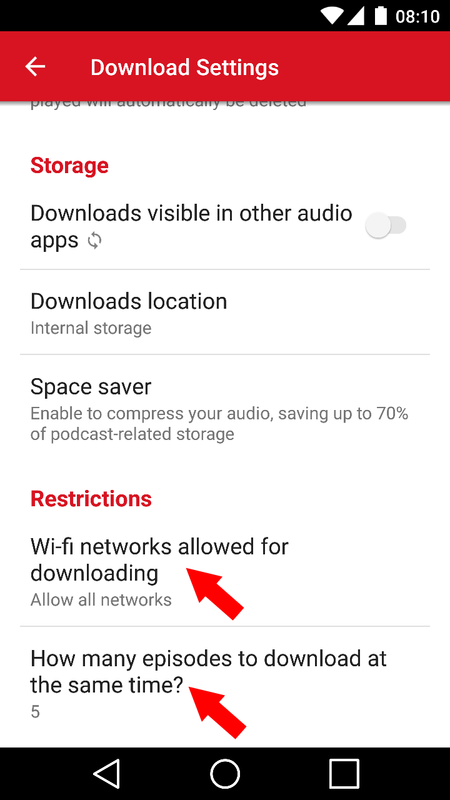 There's no more need to be charged for sudden podcast downloading when you're on those networks.